Swedish saxophone player/improviser/ composer/music archivist Mats Gustafsson has worked in the outer regions of jazz, avant-garde, experimental rock and free improvisation for more than 35 years. Gustafsson is also a passionate record collector who strongly believes that actively nurturing the urge to seek for rare and obscure vinyl is a gateway to higher musical knowledge – a knowledge that it is a musician’s duty to share. He has coined the term Discaholism – and on his website Discaholic Corner he interviews fellow artists who have the same urge to spend all their waking hours obsessing about music and records. This book presents ten selected interviews with artists/record collectors: Brian Morton, Byron Coley, Dennis Lyxzén, Elena Wolay, Harald Hult, Henry Rollins, Oren Ambarchi, Paal Nilssen-Love, Thurston Moore and Robert Crumb. 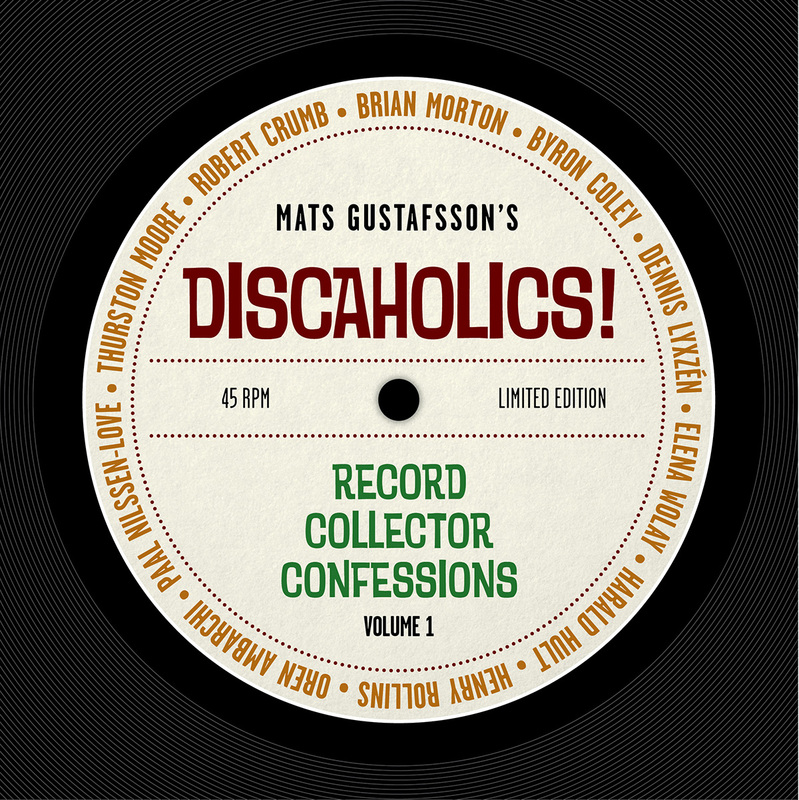 Also included are 25 TOP 10 lists of Gustafsson’s personal vinyl obsessions; an in-depth interview with Gustafsson himself; numerous illustrations and photos; plus a one-sided 7” vinyl single with an exclusive new track recorded 2017, created using elements from Gustafsson’s record collection. I am absolutely a “discaholic.” I never heard this term before. Did you invent it? It’s totally appropriate. I have it bad. Please email to the same address to confirm your shipping address.